B&E's services start with the best possible working relationship with our customers. To achieve this we are committed to providing the highest quality parts, on time deliveries and competitive prices. From the early stages of development to the final product, we offer assistance whenever possible. Our goal is to build long-term relationships with our customers. 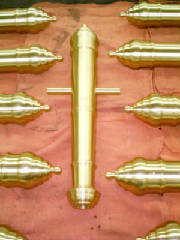 B&E Machine works with each customer whether the job involves one prototype part, a production run, or customer repair machining. 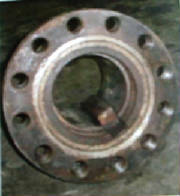 Fully assembled spinner coupling assembly. You're looking at the worn-out remains of a cast agitator shaft collar from one of our clients. This piece is made of cast iron and has it's key jammed in the locking keyway. 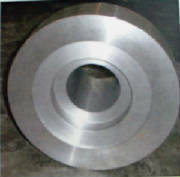 The two successive pictures are shots of the new collar machined at B&E Machine. Because the new part is machined from one piece of solid steel it has the advantages of being stronger and more resistant to fractures and cracking than the original. This part was machined and delivered in under 48 hours. 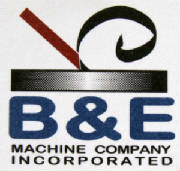 B&E Machine Company, Inc. produces a wide variety of lathe produced sleeves, shafts, collars, assemblies, spinners, turnings, keyways, and repair work. 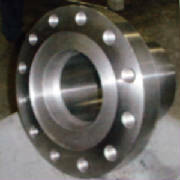 We produce these products with great care and attention to accuracy and quality. 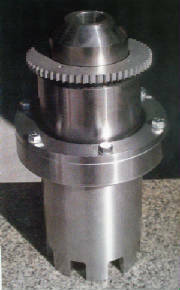 Our series of CNC cutting, milling, and lathe process machines ensures high tolerance machining. We provide 24 hr "around-the-clock", 7 days a week service. Nothing leaves our facility that has not met blueprint specifications.